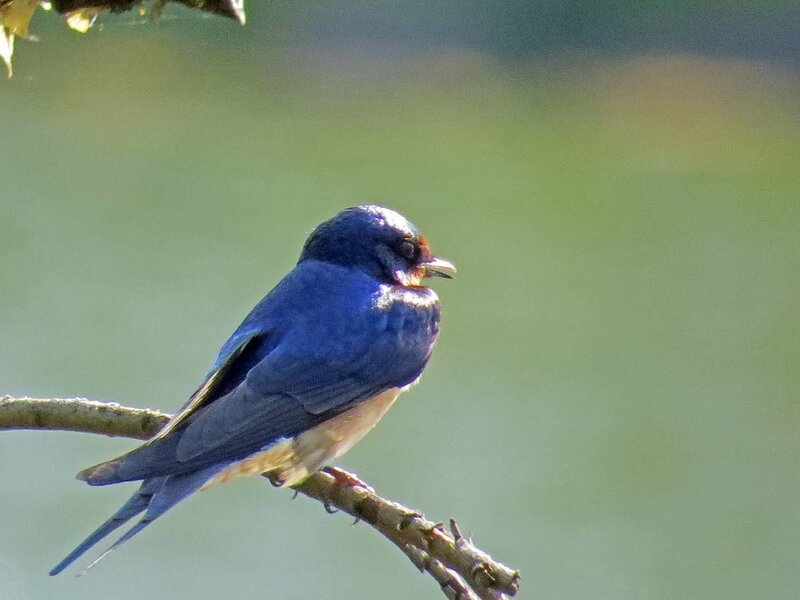 Barn swallows (Hirundo rustica) are beautiful aerial darters, skimming low over water and fields, rarely stopping long enough for a photographer to spend any time filming them. I love to watch these cobalt blue birds at the Reservoir in Central Park in the spring, but they don't stop long enough for me to film them. 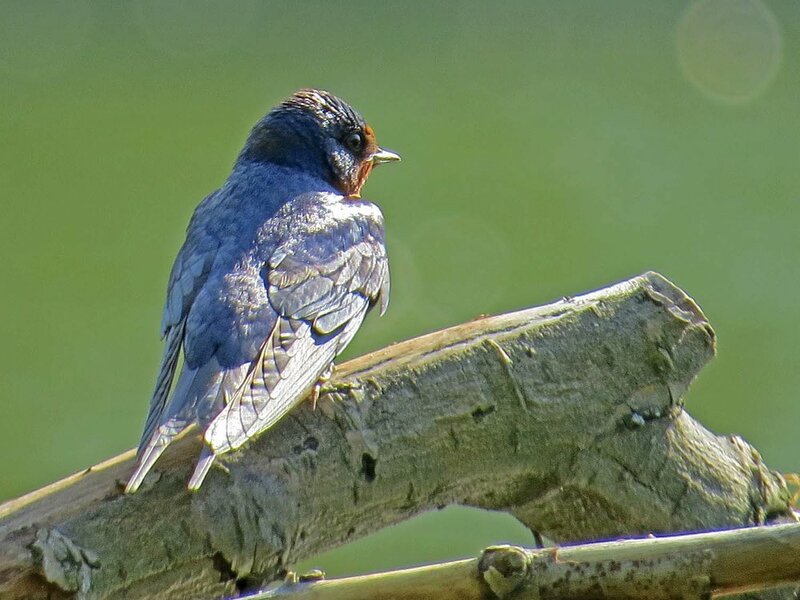 But in 2015 we had barn swallows resting on a snag (no longer there) near the Point on the Lake in Central Park, and in 2017 I've had two stop long enough for me to film on Governors Island. I'll take any view of these blue birds whenever I can! I'll head to Governors Island again soon to try to see more barn swallows, but I wanted to share what I've seen of these birds first! The Filming the Feathers video has some of the original sounds heard in May 2015 at the Point on a snag over the Lake, plus music by Béla Bartók (Romanian folk dances, arranged for recorders and performed by Papalin). I slowed down the video of the swallows darting over the water at Governors Island. These photos are from May 6 and 8, 2015, at the Point, Central Park.